After translating his success as a director, producer and screenplay writer into a popular television talk show and brand endorsement gigs, Karan Johar is set to try his charms in print and television commercials. Johar, the man behind popular Hindi films such as Kabhi Alvida Naa Kehna and Kuch Kuch Hota Hai, has previously signed up as a “brand ambassador" with apparel brand Alfred Dunhill, whisky brand Chivas as well as Timond watches and ICI Dulux. The deals were managed by Percept Talent Management (PTM), a joint venture between media baron Rupert Murdoch’s estranged son Lachlan Murdoch and Percept Holdings, a Mumbai-based media and entertainment company. Johar says the brand associations are a way of connecting with his audience through additional forums. “Endorsements are not a way of tapping a source of revenue for me," he claims. “This is my way of building an equity among consumers for my products, which is my films. This is one way of reaching out to those who don’t see my films and building a connect with them." Johar will soon be launching a new premium whisky brand by Chivas in New York, making him one of the very few film directors who appear on screen in product commercials. Both Chivas and ICI are television commercials. Though Johar and Vinita Bangard, chief operating officer of Percept Talent, refused to talk numbers, senior executives from the firm said he was charging between Rs75 lakh and Rs1 crore a year for such umbrella brand associations. Cricketers Mahendra Singh Dhoni and Sachin Tendulkar, actors Amitabh Bachchan and Shah Rukh Khan in comparison charge between Rs1 crore and Rs1.5 crore per deal. “That’s? 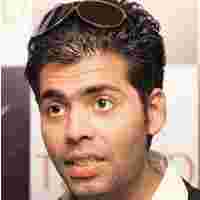 mainly ?because ?they have a wider mass appeal, whereas Johar is a niche brand, so to say," said Bangard.